This item in the Library Catalog says it’s available online. How do I access it? 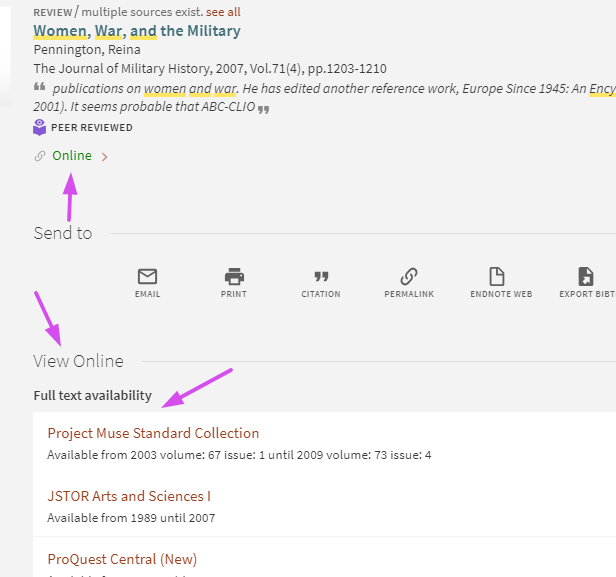 You may see items in the Library Catalog that indicate they are available Online. By clicking on Online, you may be taken to the item directly. Some items are available from multiple sources, so you'll be given links to more than one access option.